Brixia Forum summoned journalists, Thursday 6th October 2017 at 11 am in its Conference Room, in order to present the new Main Sponsors of the Exhibition Center, the Partner Network and to preview the renovations of the pavilion and the annexed structures. 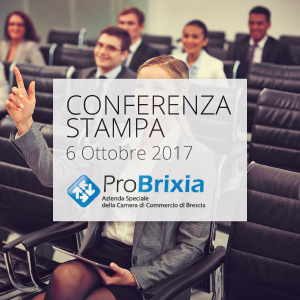 At the press conference will intervene the President of Pro Brixia – Special Agency of the Chamber of Commerce of Brescia – Giovanna Prandini. Brixia Forum is increasingly committed towards a new future of relaunching the structure of Via Caprera in Brescia, reinforced also with the network contract “Lombardia Fiere” signed by Centro Fiera, Pro Brixia, Promoberg and Cremonafiere.